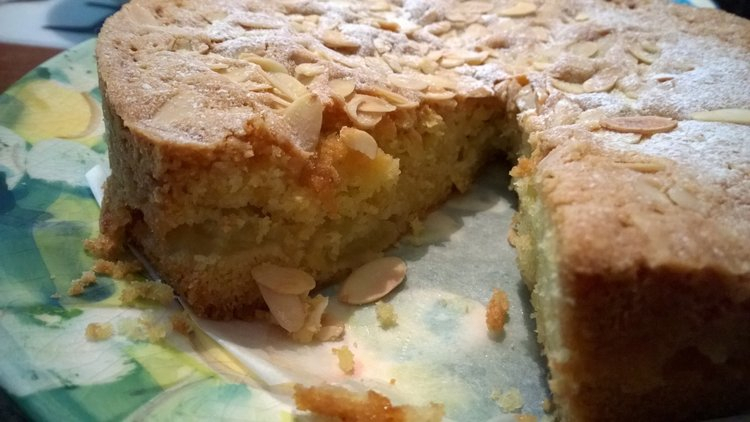 This is Mary Berry’s apple dessert cake recipe that I’ve used here. 1. Preheat the oven to 160C/320F. Lightly grease a deep 20cm loose-bottomed cake tin. 2. Measure the flour, baking powder, sugar, eggs, almond extract and melted butter into a bowl. Mix well until blended, then beat for a minute. 3. Spread half the mixture into the tin. Thickly slice the apples and lay on top of the mixture in the tin, don’t go right to the edge, pile them more into the centre. Spoon the remaining mixture over the apples, making sure they are all covered, don’t worry about getting a smooth or flat surface, it all flattens out during cooking. 4. Sprinkle with the flaked almonds. 5. Bake in the oven for around 1¼ hours until golden and coming away from the sides of the tin. 6. Sift some icing sugar on top before serving. This cake is ideally eaten warm as a dessert, with some ice-cream or cream, but it’s perfectly good cold too. I LOVE almond-flavored baked goods. I’ll have to bookmark this one. Thank you! I long for the day we switch to the metric system in this country. It makes so much more sense than our silly measurements. Although actually I prefer using cups for recipe measurements, it’s easier. We’re half metric and half not over here – a lot of people still prefer to use ounces and pounds rather than grams and kilograms, so recipes will often give both. When it comes to body weight, most people still use pounds and stones. And on the roads we still use miles like you do rather than kilometres, so we’re all rather confused really! I didn’t realize that. Interesting to know. I got used to the metric system in medicine, but I always report weight in pounds. People here don’t always know kilograms. But I’d document in the chart as kilograms. But I always think in miles when I drive. 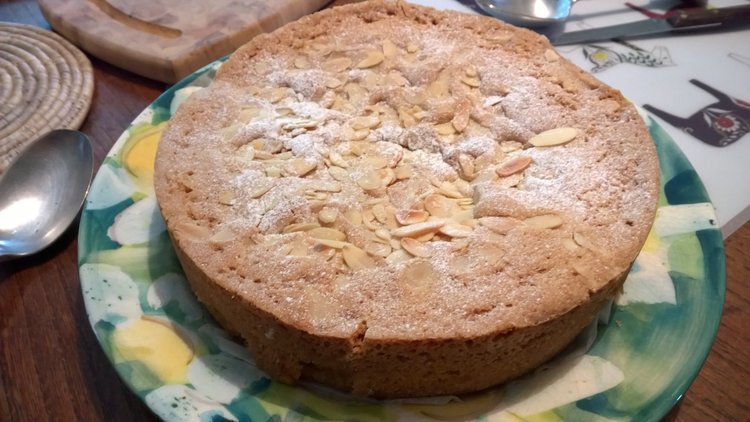 I think this would be better if you swapped about 70g of the flour for ground almonds and added a little milk and baking powder. Yup. If I make this cake, the calories will keep hanging onto my hips. Badum Tcha! (That was the drum sound after a punchline, quite difficult to type!). Mmm, perfect flavors for autumn!